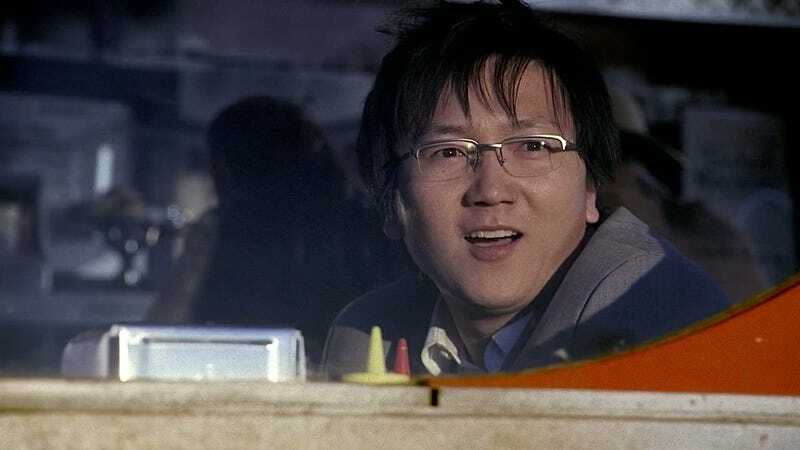 If you had to narrow down a single reason why Heroes was such a runaway hit in its first season, you'd have to select Hiro, the time-traveling Japanese nerd played by Masi Oka. So why does the news that Hiro is returning for the sequel series, Heroes Reborn, fill me with such dread? It's because after the first season, in which Hiro's delight and wonder at his new powers perfectly epitomized the show's charm, the show had no goddamned clue what to do with a character who could instantly solve all the show's conflicts by traveling through time. Heroes scrambled to figure out what to do with him, and basically made the perfect treatise on how to ruin a beloved character: They stranded Hiro in the past, they took away his powers, they gave him a brain tumor... but mainly, they kept him away from the entirety of the cast, because they didn't know what to do with him. So... have the people making Heroes Reborn figured out what to do with Hiro? Or are they just bringing back the show's breakout star in hopes of bringing back viewers? I think we all know the answer here. Ah, if only bad TV screenwriting could be solved like Hiro's brain tumor, which was cured when the ghost of his dead mother kissed his head in a dream sequence.